Please check the nearest Outdoor Pools in Other Cities in Lower Saxony (Lower Saxony) (Lower Saxony) or Contact us to ADD IT. It's free! There are regularly discounts out there to senior citizen and little kids. Find out by contacting your nearest pool in Other Cities in Lower Saxony. Swimia.com desires your feedback to ensure all the knowledge is valid, given that perhaps this pool is no longer open towards the public. Most of the Outdoor Pools in Other Cities in Lower Saxony (Lower Saxony) (Lower Saxony) offer you both open lanes for independent swimming and also guided activities like water aerobics or aquabike. Traveling to Other Cities in Lower Saxony? This is the correct spot on the internet to find places to swim in Other Cities in Lower Saxony. Each day you might be not swimming you're losing precious time to increase your skills a be a superior swimmer! No even more excuses!. For Other Cities in Lower Saxony and its vicinity, we're showing you all of the registered Outdoor Pools in Other Cities in Lower Saxony (Lower Saxony) (Lower Saxony), a few of them have no GPS coordinates and you're not finding them at the map. Holding an estimated population of 123.064, Wolfsburg is among the most important cities in Other Cities in Lower Saxony. Check all the Pool in Wolfsburg and its surrounding region. Whereas Wilhelmshaven is among the six most populous cities in Other Cities in Lower Saxony with almost 84.393 residents, you shouldn't miss that one if you're going to Other Cities in Lower Saxony. Swimming is a outstanding idea to help keep your body active for the duration of your visit to Braunschweig (Other Cities in Lower Saxony), or perhaps for anyone who is a local. 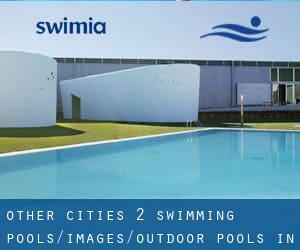 Swimia helps you to locate your closest Swimming Pool in Braunschweig. It's hard to visit Other Cities in Lower Saxony with out dropping by Hanover (with 515.140 residents). At present Swimia is showing you all the Swimming Pool in Hanover and the closest pools situated in its vicinity. Let us let you know a secret to switch off although you are in Celle: just pick a Pool in Celle and plunge into the water! There's no more useful approach. Without a shadow of a doubt, swimming in Göttingen is the perfect approach to unwind following work. Take a couple of minutes to browse Swimia's catalog to find a Pool in Göttingen. Am Barkhof , Osterholz - Scharmbeck , GERMANY (Postal Code: 27711). Swimmers like you reported 25 meters, Indoor/Outdoor. Phone number and email address are number for this Swimming Pool.